I thought “What the heck? Why not!” and tried a spoonful. It was like putting shelled sunflower seeds in my mouth except they were smaller and softer. I then flipped the bag around to look at the nutrition info. That is what really intrigued me! These little hearts are PACKED with nutrients! One serving contains 10 grams of protein and more iron than spinach not to mention so much more! Take a look for yourself! I decided to take the plunge and delve into the world of hemp! There are so many ways to use these sweet little hearts! I was really excited because I have mostly been using a lot of animal protein in my diet to aid my weight loss efforts but regardless of any weight loss success I’ve had, I never really felt like it was the most healthy way to go because of how acidic animal protein is. I’m not a vegetarian by any means but replacing most of my animal protein with plant sources has felt a lot better on my digestive system. (I recently had my gall bladder removed and the digestive process just ain’t as good as it used to be!) 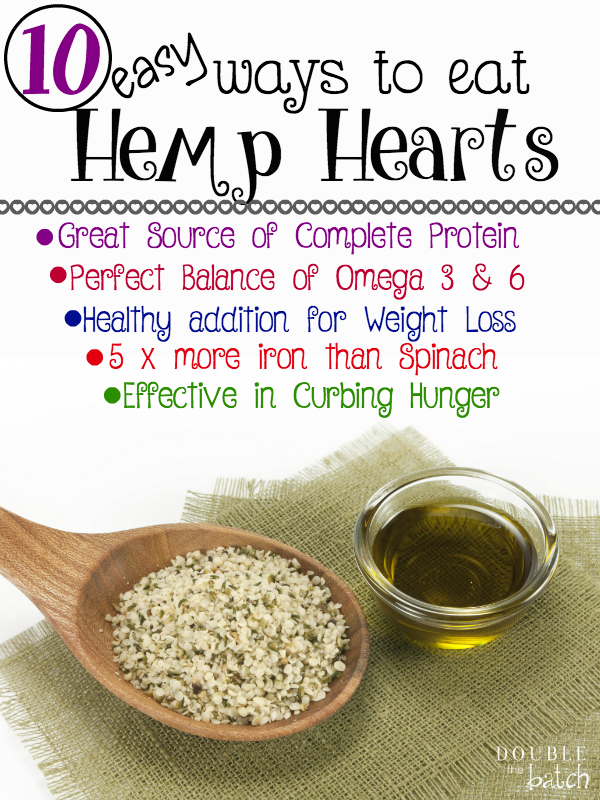 So, here are 10 easy ways to eat hemp hearts! 1. Mix in your yogurt or kefir. I personally love to add them to my Kefir drink. It adds a nice nutty flavor and boosts the protein so I stay full longer! 2. Add to green smoothies. Green smoothies are packed with the nutrients my body needs but sometimes give me a sugar rush from the fruit I add to them to make them taste good. 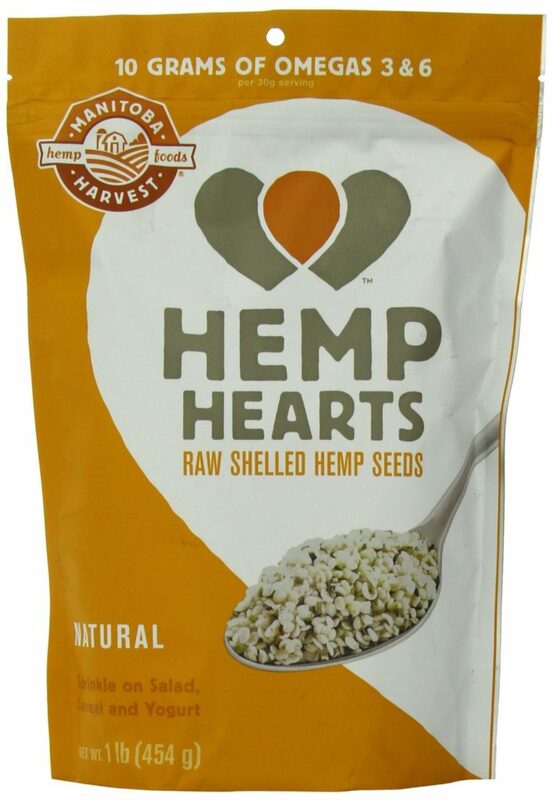 By adding hemp hearts, I boost the protein content and my body digests the sugar content more gradually. I also love to add chia seeds! 3. Add to granola. They blend in with that nutty flavor just perfect and you are getting more nutrients and protein! 5. Fruit salad! Sprinkle on top. Tell your kids they are magic sprinkles. LOL! 6. Add to baked goods like muffins. I’m especially looking forward to adding these to my banana coconut muffins! 7. Cottage Cheese. I like to eat cottage cheese with fruit and the addition of hemp seeds can turn your cottage seed snack into a meal. 9. Add them to homemade treats like these awesome granola bar bites. 10. Eat them STRAIGHT OUT OF THE BAG!